I have only been writing this blog since April, so I was extremely surprised and deeply honored to be nominated for the Starlight Blogger Award this past weekend by Miranda over at her amazing blog, Let Food HEAL Your Body! I would like to say a huge thank you to Miranda, not only for nominating me, but also for being my most loyal follower in my blogging journey so far. If you are not already following Miranda’s blog, you should go and check it out. She has an incredible back story of using food to help heal her body, and writes amazing posts to help others do the same, like this recent one about Who Should Use Seeds to Optimize Their Health and Why. 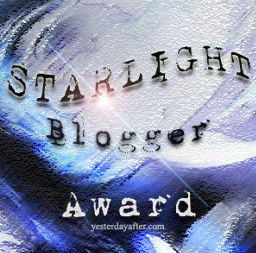 So now on to the Starlight Blogger Award. Answer the questions posed to you, and create your own set of questions for your nominees. There is so much confusion about what healthy eating really means, and food manufacturers play into this. I started blogging to help people make sense of all the nutrition information out there, and realize that healthy eating is actually quite simple once you know how. If you could redesign our world, what would you change and why? I would change the inequality by designing a world in which there is no gap between rich and poor – a world in which everyone is given equal opportunity and resources to start with, and can then make of it what they wish. I know that sounds hopelessly idealistic, but it would make the world a far better place. Surfing in the North Island of New Zealand. An armadillo. Even though I may have a hard exterior at times, it is really just protecting my sensitive side. Do you have a favorite movie or song that gets you through the tough times and reignites your passion? The Sound of Music is my all-time favorite movie. Singing along to the songs and watching true love prevail lifts my spirits every time. Yes, I’m a softy at heart, hence the armadillo spirit animal. 2. What is your favorite way to unwind at the end of the day? 4. If you could meet anybody in the world, fictional or not, who would it be and why? 1. Rachel and Dawn at Meals Our Kids Love. Their mission is to make mealtimes easier for us all by providing great family-friendly, healthy recipes, and plenty of advice on feeding youngsters, especially those of the fussy variety. 2. Hermione at Hermione’s Pantry. Her blog is bursting with seasonal, healthy, vegetarian recipes that will have you running to the grocery store to pick up the ingredients. 3. Rachel at The Cafe Catch Up. She has some really interesting and useful information about coffee and tea, as well as delicious tea and coffee-based recipes. A must-read for all you coffee lovers out there.